NOVI, MICHIGAN (August 11, 2014) Danlaw’s Mx-Suite now supports the testing of AUTOSAR software components. 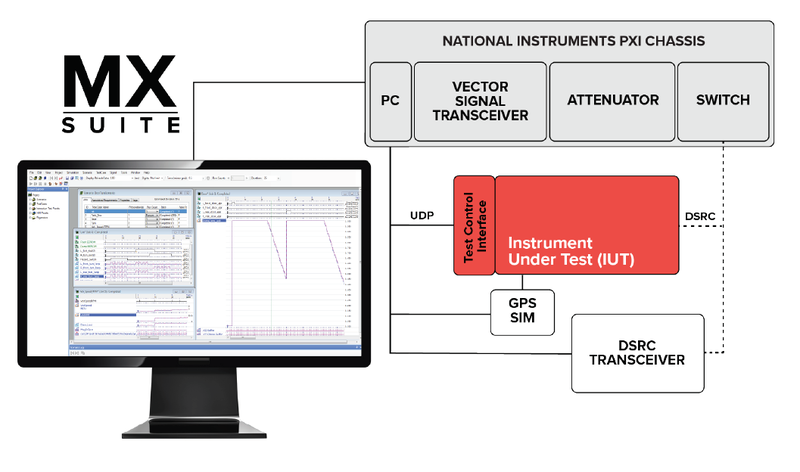 Using Virtual Micro-Controller’s (Mx-VMC) auto-harnessing capability, test engineers have the ability to quickly integrate their application software with the other parts of their architecture and to run them in a Software in the Loop (SIL) test environment. As a result, more functions can be tested earlier and quicker, saving valuable time and resources. Mx-Suite makes the whole testing process more transparent with a highly intuitive graphical interface for test case creation and execution. Basic existing functionality also includes precise specification of behavior with tolerances, pass fail analysis, automated regression test execution, reporting, and enterprise integration with ALM tools. The new AUTOSAR capability automatically generates the glue code (harness) from formally defined software component description files (.arxml), and simulates the AUTOSAR OS, Run Time Executive (RTE) and parts of the Basic Software. ”Programming knowledge is not required and dependency on third party test tools such as ‘NUnit’ is eliminated” says Michael McCormack – Director of Product Development at Danlaw. Mx-VMC scales to large systems, not limiting the number or size of software components or I/O signal count. Single software components, composite components and service components are supported together with sender-receiver and client-server communication. The Mx-Suite Embedded Software Test Environment is designed to help automotive ECU module suppliers produce their products more efficiently and with higher quality through continuous integration. Using intuitive graphical diagrams, software requirements are easily documented with performance criteria and tolerances, thereby simplifying software validation. The tool provides traceability from requirements, through design and test. Mx-Suite allows engineers to test development concepts using virtual prototypes, before electronics are available. It is used to validate models (MIL), execute tests on developer-written or auto-coded software including AUTOSAR code, as well as run tests with bench and hardware in the loop (HIL) test equipment. Automotive OEMs and tier 1 suppliers across body, powertrain, chassis, safety and infotainment alike continue to rely on and extend their use of Mx-Suite for its intuitive user interface and its automation and analysis capabilities. As an associate member of the AUTOSAR consortium, Danlaw is committed to supporting the AUTOSAR development community.